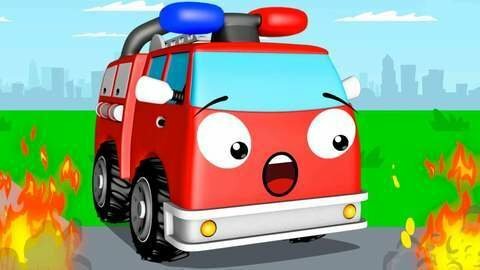 See this Ambulance car cartoon for kids as she avoids the holes on the road but still meets an accident. She bumps into a burning building where burning wood covers her. Fire Truck was able to put all the fire out and Helicopter brought her to the auto shop. See other car cartoons by going online at SeeZisKids.com.